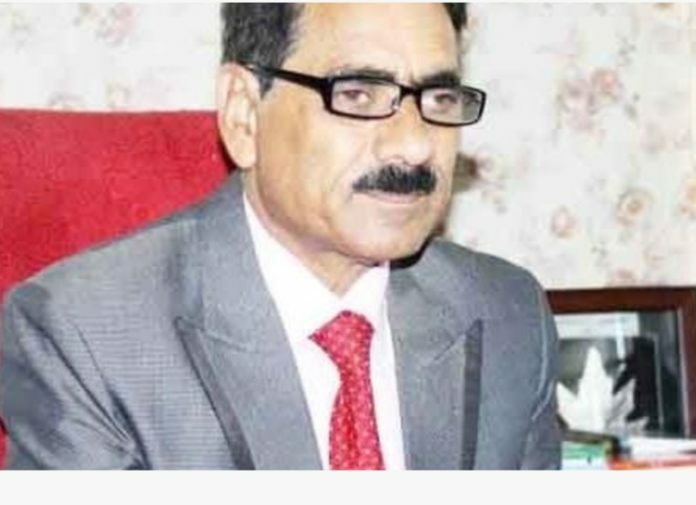 Jammu, March 30: Secretary, J&K Academy of Art, Culture and Languages, Dr. Aziz Hajini was today accorded warm send-off by JKAACL staff at a function held at KL Saigal Hall here. After completing his nearly 4 years tenure as Secretary JKAACL Hajini shall attain superannuation on 31st of this month. A Sahitya Akademi awardee, Hajini’s tenure as Secretary proved to be instrumental in making JKAACL more visible as an institution. Besides, Hajini the Academy staff also accorded warm send off to two other officials namely Harpal Singh, Administrative Officer, and Mohd. Anwaar Peer, PA to Additional Secretary Jammu. Apart from officers and officials of JKAACL, several writers and academics also attended the farewell function. Prominent ones who attended the function and also spoke on the occasion included Dr. Masood A. Choudhary, Bashir Bhaderwahi, Mohan Singh, and KD Maini. Among others, Aseer Kishtwari, Ayash Arif and Arsh Sehbai were also present.